The IESE and ESADE exams are specific to each school, although they have much in common with the GMAT, with the additional distinction of being in Spanish. They are offered to students that wish to apply to certain MBA programs as an alternative to the GMAT. Nevertheless, in order to comply with the admissions requirements of the majority of these programs, you must do the GMAT. 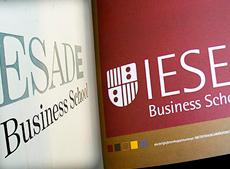 In these cases the IESE or ESADE internal exams are not valid. Check with the Admissions Department to see if you will need, or if it is even viable, to do one of these exams. What requirements are there to attending the course? You need an upper intermediate English level, at least written. To prepare these Spanish exams, our course is taught entirely in Spanish. However, the practice questions we use during the course are all in English. For this reason it is highly recommended that you have a strong intermediate written English level if you wish to join the group course. What is tested on the exams? Both exams have verbal and quantitative sections. At the same time, each exam has one or more sections which differ from the traditional GMAT content. ¿Varían mucho los exámenes del examen de GMAT? No demasiado, a pesar de las secciones de cada examen que son exclusivas al examen en cuestión. No obstante, en el curso haremos un repaso de todo lo necesario para las secciones cuantitativas y verbales.